There’s a trickle-down effect in blogland….and I’m the latest drip! Cassie at Primitive and Proper showed this gorgeous dresser just about a week ago. I came across this dresser at Deseret Industries last week, and I wanted it. I knew it would be perfect for a similar treatment! It turned out just like the picture in my head! I painted the body of the dresser in a barely off-white paint I had on hand (Behr Ultra color-matched to Sherwin Williams Creamy), and I had fun choosing three colors for the three rows of drawers. I bought a sample of Behr Ultra in each of these colors: Windwood Spring (top), Shallow Sea (middle), and Lagoon (bottom). My teenage daughter graciously offered to help carry it up to her bedroom. So there you have it…my version of the Gradient Dresser! I do love these retro dressers. Two of my other favorites are Reverse Anthropologie and 38 Flowers ! This project has been featured at Saved by Suzy, Day and Age Design, Mod Vintage Life, My Repurposed Life, and AtticMag. Linking up here and ! korrie, it looks awesome!!!! i love it on this dresser!!! Korrie, you are amazing! It looks terrific! And how come you always have such good luck. If I had seen the piece prior, it would have sold. Never in a million years would I have had that kinda luck!! I can just see this piece in a great little condo down at the beach. Too bad I don't own one ~ LOL!! Love all the blue colors. Very pretty! I'm a new follower..if you get a chance come check out my blog! SO FABULOUS! I was in love with Cassie's take on her dresser too. And I absolutely adore yours as well! YUM! That turned out just gorgeous, Korrie! You really found a great piece to use the gradient paint technique. 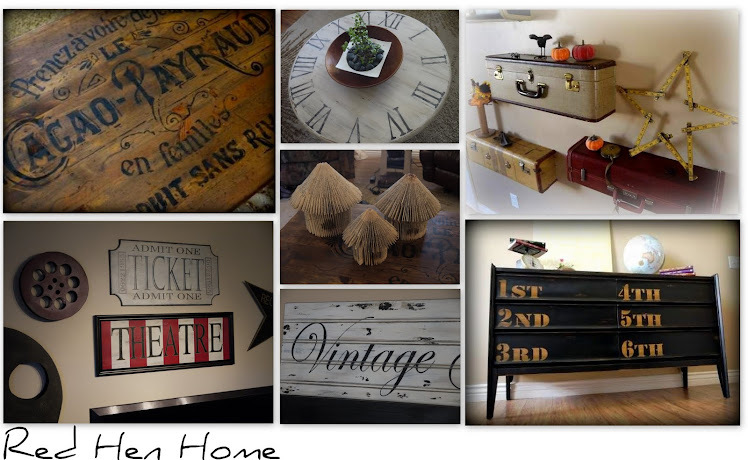 You are doing so good with your furniture redo projects. I love them all. This dresser looks so cool. I saw a book case like this in Better Homes and Gardens where the book case was white but the backing and insides of each shelf/cubicle was shaded a differet color. I loved it. Like I love this dresser you did. This dresser really rocks! I can totally see why your teenager would like to have it in her room. You just gave me inspiration (as always) for my tweens room...thanks! I love it Korrie! Your paint colors are so pretty. I linked almost the exact same dresser, but with a totally different paint job. I'm on the hunt for the perfect dresser to do the gradient/ombre treatment to for my daughter's room as well. I know my readers would love to see (we've talked about ombre painting on my blog) this if you want to link it at saved by suzy. Gosh! I love this so much....just brilliant! I'd love to see you link this up at my party Mod Mix Monday! wow! it's beautiful! love this technique... love, love, love the colors! How fun! I love the blues!!! What a conversation piece. oh i am totally in love with this! i am pinning it and dreaming of it!! What a fantastic piece! It turned out great! LOVE it. Cassie is one of my best friends and I was there when she bought her dresser. I love them both and I'm actually on the look out for one that looks like yours!! Great job! i'm your newest follower! The transformation is amazing and the colours look so great together! I love that dresser and your cabinet. I'm thinking I might do that in my grandson's nursery room at my house!! It would be perfect!! Thanks for sharing your wonderful ideas with us! I think it was the perfect paint treatment for the dresser...It turned out awesome. Great job. Have a wonderful weekend. GET.OUT.OF.TOWN.GIRLFRIEND...this is sooo cute..not anywhere CLOSE to my style and I love it to pieces. I am about to redo a bedroom and now I want a chest like this in there. Gonna start looking for one. I adore anything with a gradient. Great job on the dresser! Stopping by from Simple Home Life. I keep falling in love over and over again. First with Cassie's and now with your beautiful gradient makeover. It is awesomely gorgeous. Well done! Very cute! Love the idea and the colors you chose! ooooh I love it!! Absolutely stunning! what a small world! And I absolutely LOVE what you did with it. SOOOOO fun! This turned out great Korrie!! I have that same inspiration picture in my idea file! Just waiting to find the right piece! I adore these retro dressers too! Great job! Wow love it! I love the idea and the colors- you did a fantastic job! I wonder if it's possible? Any suggestions? Looks totally fabulous! Love it! That looks awesome! I love the gradient color...I will definitely have to try that someday! It turned out perfect. Great job! Your dresser is just beautiful!!! You did a fabulous job of it. that looks amazing! i love the shape of this piece, too. Wow I wasn't sure if I would like this, but it is amazing. You've got such great vision! Thanks for Sharing!! This dresser is fabulous, Korrie! I love the colors you used. thank you for joining the Open House party this week. beautiful job, it looks great! I featured your amazing dresser today at Mod Mix Monday! Love this, looks like a giant paint chip!